The coach is sabotaged carrying the Pope's envoy who is trying to deliver a letter to the French, . The wheel comes off and the coach grinds to a halt. The envoy is terrified that something is going to happen especially when the coach man informs him that the wheel was deliberately made to come off. Luckily for him, the players coach soon arrives and together they are able to fix the wheel and the coach is able to continue. Not long after though, Spanish guards intercept the coach and bring it to a halt. They remove the horses, completely ignoring the Pope's envoy inside. The Spanish are prepared to go to any length to prevent the delivery of the letter to the French. Back at the Chateaux, Isabelle is still quite ill and is resigned to going into a convent to become a nun. She has still not come to terms with the death of Francois after what she thought was a betrayal on his part. 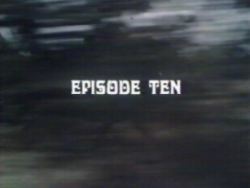 The Count goes to the convent to request that the Mother Superior does everything she can to prevent Isabelle from taking her vows. Mireille goes to see the partisan leader but she is watched by the Spanish assigned to track her every move. Mireille is informed that Francois is still alive and she asks that she be taken to see him. She is followed by the Spanish and although she is overjoyed to see Francois and Guillot, she is unaware that she has placed them in mortal danger. One of the Spaniards keeps watch whilst the other heads back to inform Don Ricardo. Inside the farmhouse, Mireille is told of how Francois was able to escape by falling into a river. Although he was half drowned he has now fully recovered and is eager to get on with the mission. One of the partisan farmhands sees a Spanish soldier and rushes inside to tell the others. 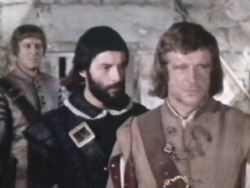 Francois and Guillot make their getaway unbeknown to Don Ricardo and his men who make an assault on the farmhouse. 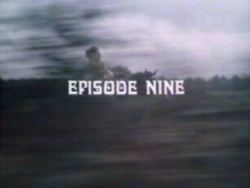 Mireille shoots Don Ricardo dead but she is taken prisoner. 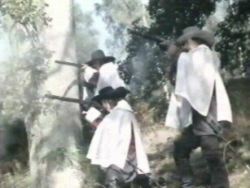 Seven other Spanish soldiers were also killed in the assault. Don Alonso issues orders for the gallows to be setup as he intends to see the murderess of Don Ricardo hanged. He also orders all peasants who took part to be rounded up. We then head back to Casal where we learn that Pinwis has also been killed in the siege. The French General Thoiras has written a full account of the siege and issues orders to Kleist to bury the papers somewhere so that they may be found in time. Very few defenders are left at Casal and those that do remain are hiding amongst the ruins of the castle. Suddenly the guns stop and a Spanish envoy is permitted to cross the lines and enter the fort. The Spanish representative requests that the French surrender to prevent a massacre from taking place. 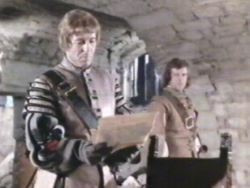 General Thoiras informs him that the King of France has charged them with defending Casal and that they will do to the last man. Our two heroes are still trying to contact the Duke de La Force and they are very close but the Spanish are everywhere. 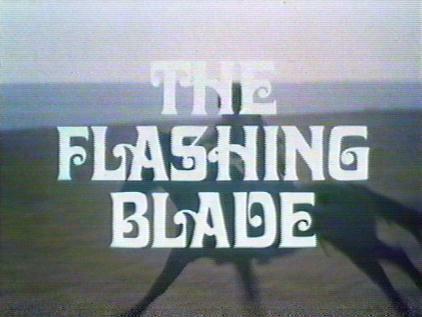 They come across Bodinelli who shows them the letter from Monsignor Julio Mazarin and then informs them that he has been attacked and had his coach and horses taken. 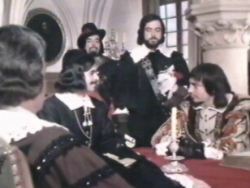 Francois instructs him to go back to Julio and inform him that the Duke will arrive that evening. Bodinelli is very happy that he can return to the Chateaux and not continue with his mission. Francois and Guillot are determined to contact the Duke but the Spanish occupy the entire area on that side of the river. In a thrilling horse chase the two are pursued by Spanish forces. Francois and Guillot dive into the river and swim towards the other side under a hail of Spanish gunfire. 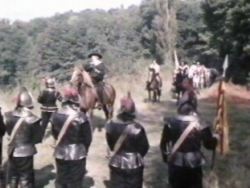 On the opposite side of the river, French musketeers appear and return fire at the Spanish. 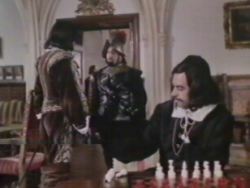 Back at the Chateaux, Monsignor Julio Mazarin requests a pardon for Mireille but it falls on deaf ears with Don Alonso. 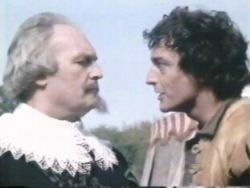 Francois and Guillot eventually get to the other side of the river and finally make contact with the Duke De Force. 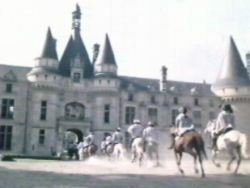 He mobilises the French contingent and they leave at once, for the conference at the Chateaux. Meanwhile, Bodinelli has arrived back and is quite hysterical. Monsignor Julio Mazarin makes out some sense of what he is talking about and then goes to see Mireille. She informs him that Francois de Chevalier is still alive and that he needs a little more time to prevent war. The Monsignor is quite clever and so decides to use delaying tactics with Don Alonso. At the start of the conference, Don Alonso has already drafter a letter but the Monsignor wants it to be more precise, especially if the absence of the French was due to some problem with conveyance or perhaps a letter not being delivered correctly. The Monsignor obviously intends to string this out for as long as possible much to the ever increasing annoyance of Don Alonso who sits next to him. After reading the document Julio requests that it be redrafted which again takes up time. Eventually to put Don Alonso out of his misery, Julio is ready to sign but just as he touches the paper with the pen, yes you guessed it, the French delegation arrive. The Duke De Force takes his place at the table and the conference begins.